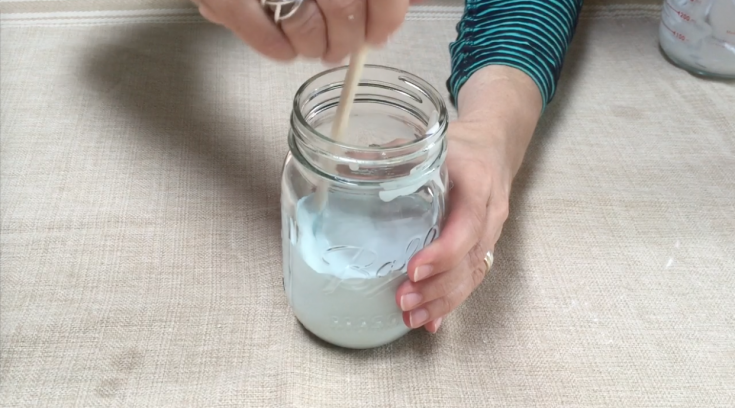 Today’s contributor is Patricia from The Wood Spa and she is sharing 2 ways to make homemade chalk paint. 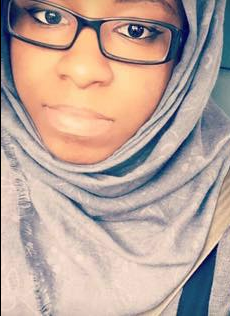 She is also a member of the Home Decorating, Upcycling and DIY Facebook group. All posts submitted by Patricia for Grillo Designs can be found HERE. 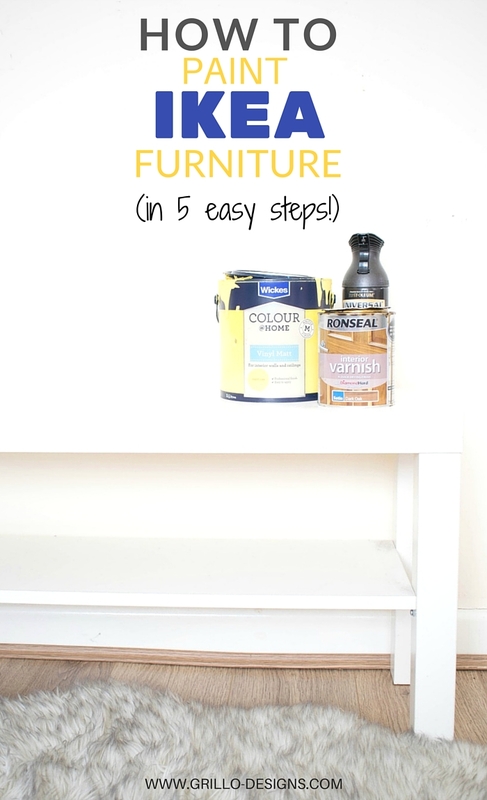 Who doesn’t love the beautiful look chalk paint gives to a piece of furniture? I do, but unfortunately the main brands are simply not always affordable to me. Also, I love to experiment with colors. Last time I checked I had about 10 shades of blue and 6 shades of pink in my shelves, not to mention all grays and off-whites. I buy samples of latex paint for around $5 each ($2 when they are on sale!). 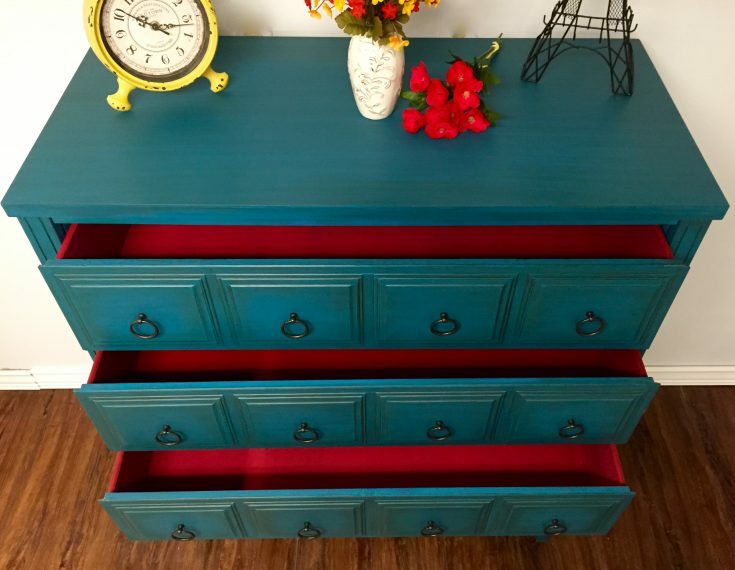 With a one-pint sample of Valspar or Benjamin Moore latex paint I can finish an entire four to six-drawer dresser and may still have some left over. 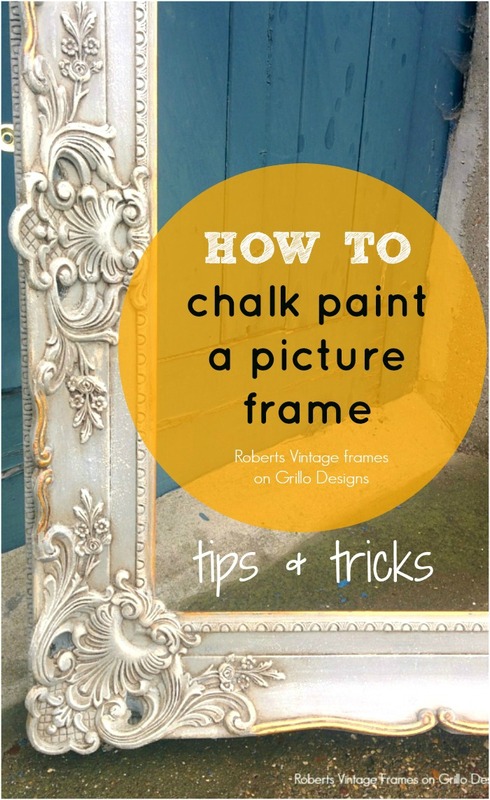 There are at least five different recipes of homemade chalk paint that I’ve heard of. The most popular ones use Calcium Carbonate or Plaster of Paris mixed with latex paint. In this post, I will show you how to make both. NOTE: If you google it, you will notice that not everyone uses exactly the same ratios I do, but don’t panic! Slightly different amounts of each ingredient won’t cause a drastic change to your final result. It is just a matter of preference. 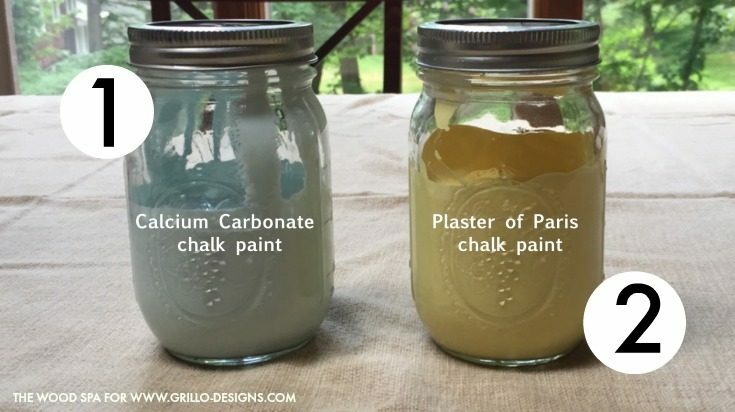 The more Calcium Carbonate or Plaster of Paris you add, the thicker your paint will get, and your final result will probably have some grainy texture. I like my projects with a smooth finish, so I use less powder. The easiest and cheapest way to buy Calcium Carbonate is online. Here is where I find it for a good price. Two parts of latex paint, any brand and sheen. The samples I buy are usually Valspar (satin) or Benjamin Moore (egg shell). 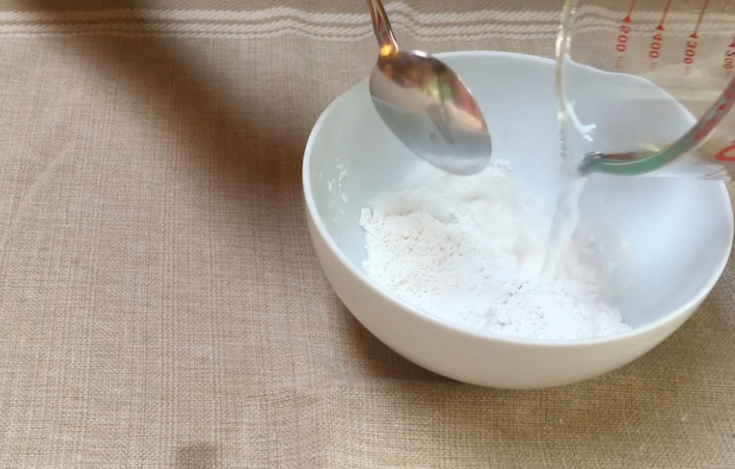 One part of Calcium Carbonate diluted in hot water. 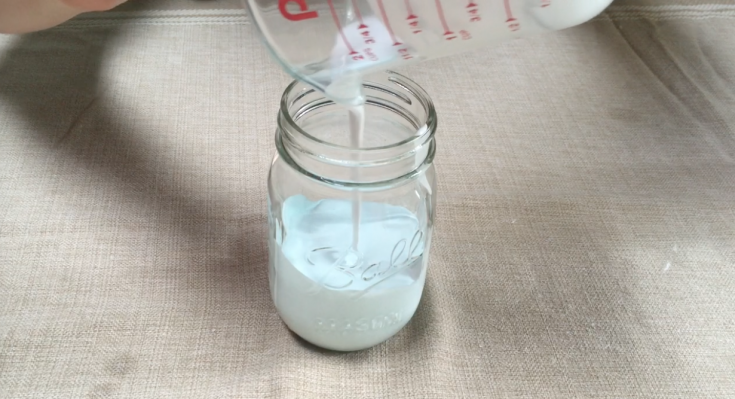 For this example, I used 6oz of blue paint and 3oz of Calcium Carbonate. 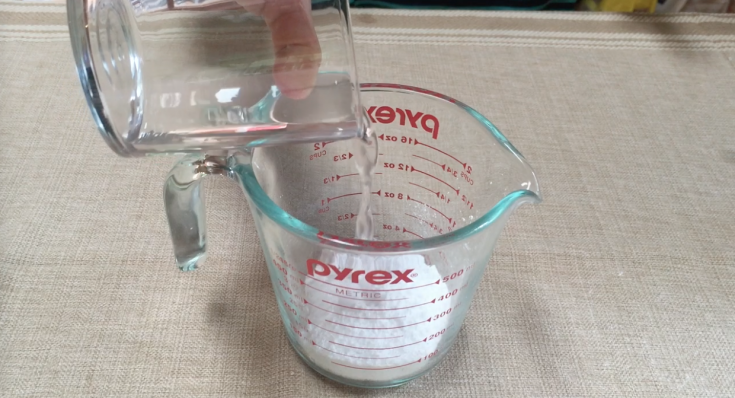 Slowly add boiling water to your Calcium Carbonate and mix it well until you achieve a pasty consistency, with no lumps. 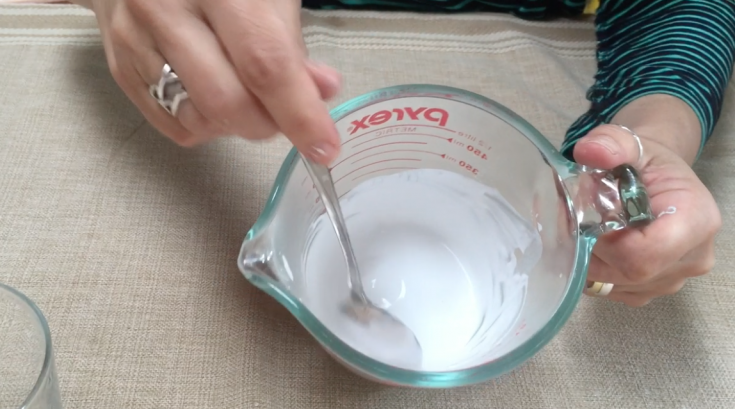 Add that paste to your paint and stir it well. Three parts of latex paint, any brand and sheen. 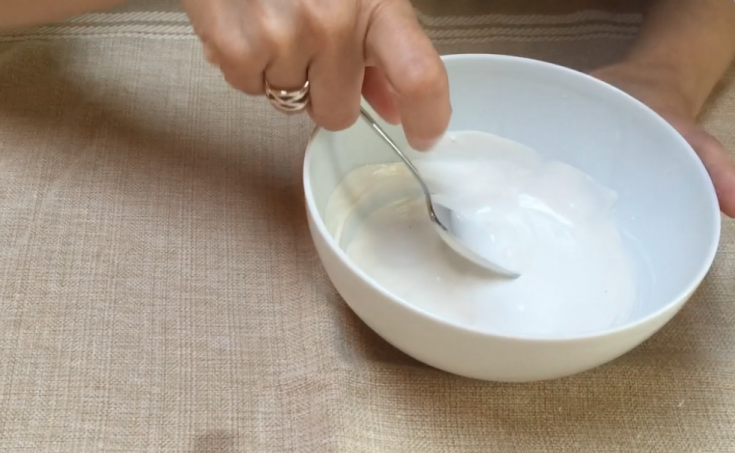 One part of Plaster of Paris diluted in cool water. 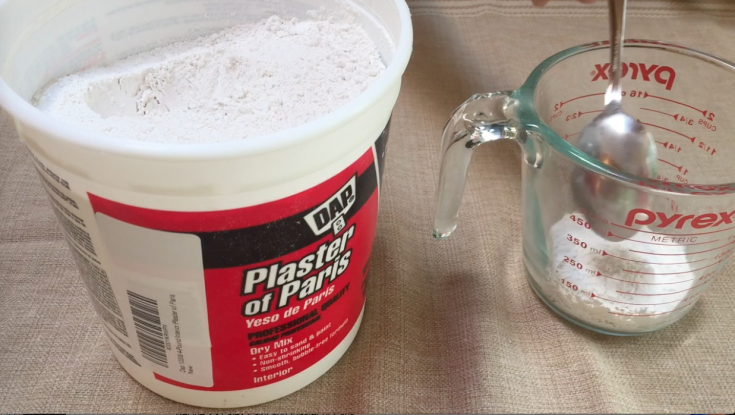 Slowly add cool water to your Plaster of Paris and mix it well until you get a pasty consistency. 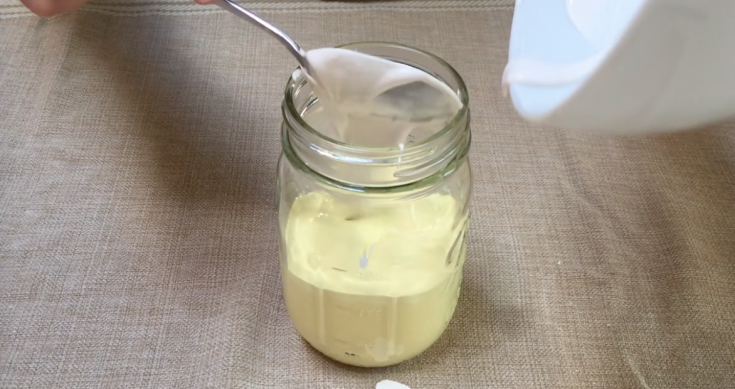 Pour your Plaster of Paris mixture into your paint and stir it well. That is all, my friends! As easy as that. Have 2 minutes? Watch the full video tutorial here. 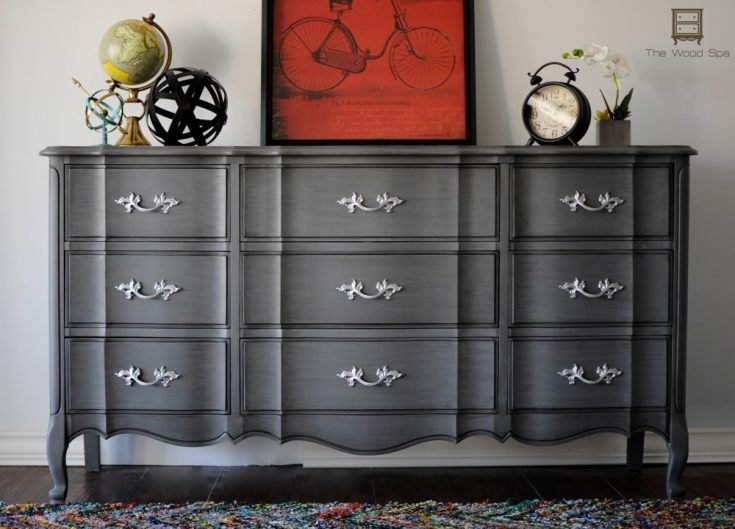 One pint (16 oz) of paint is enough to apply two coats on a four-drawer dresser. Make enough paint for one or two projects at most. 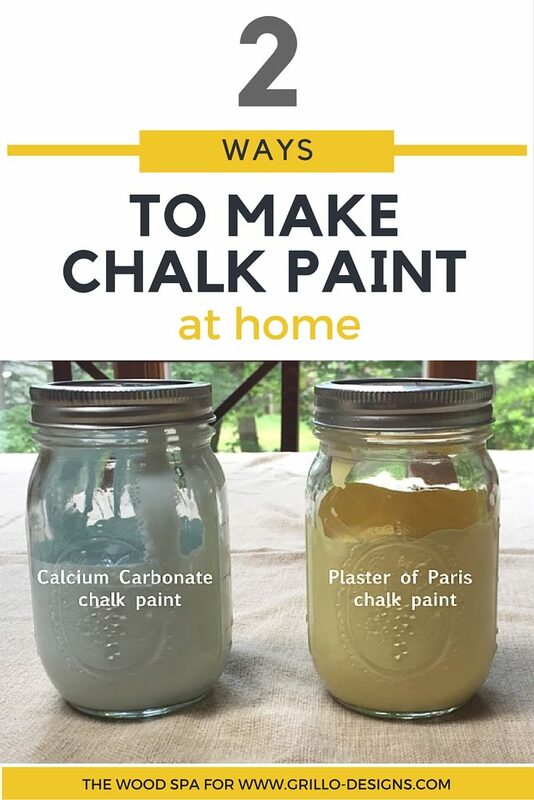 If you store homemade chalk paint for more than a week it will probably get lumpy. If that happens, you may still be able to fix it by adding some warm water to your paint and stirring it well. While painting, stir your paint occasionally. You can roll or brush homemade chalk paint but I don’t recommend using it with a paint sprayer as the residual powder may block your spray. Before painting, lightly sand and clean your piece really well. In most cases you don’t need to prime, but if you have a bleeding problem (previous finish residues showing through your paint) you need to apply an oil-based primer under your paint. To avoid this frustrating experience, test your paint on a small area first and wait for it to dry before painting the entire piece. 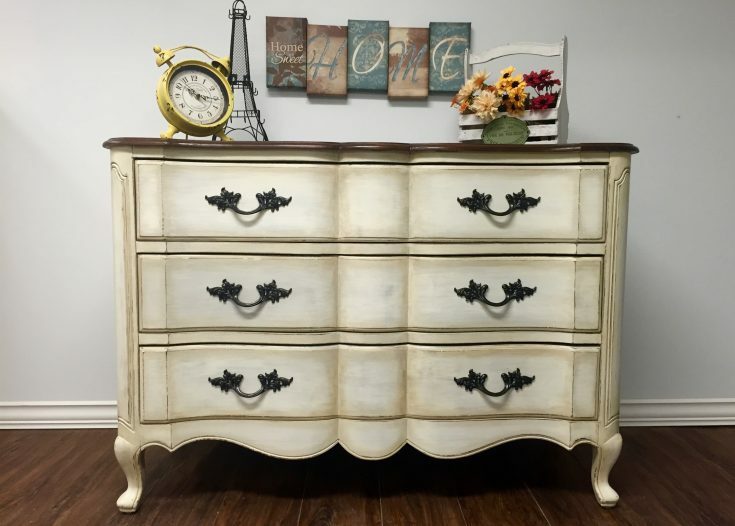 Finally, you are welcome to visit my blog The Wood Spa and check out some of the projects I did using homemade chalk paint. I hope this tutorial was helpful. Let me know if you have any questions! 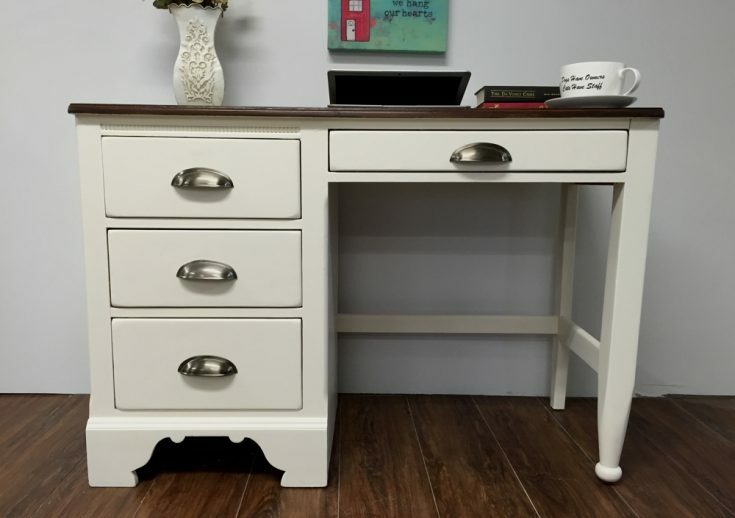 Do you suggest making a chalk paint with latex that has a flat sheen? 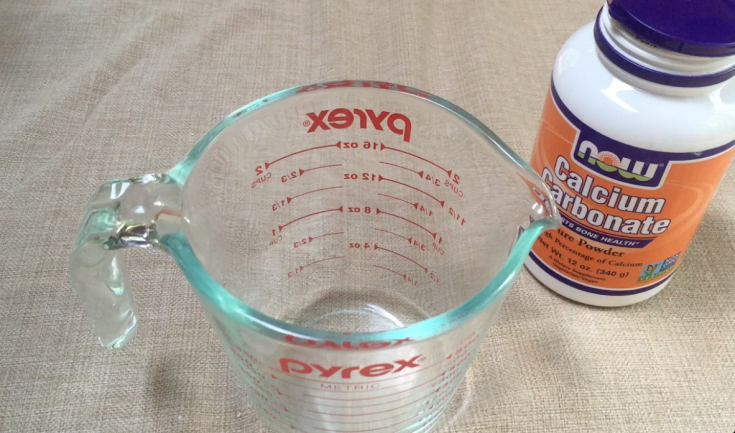 How much water do you add to the calcium carbonate recipe?